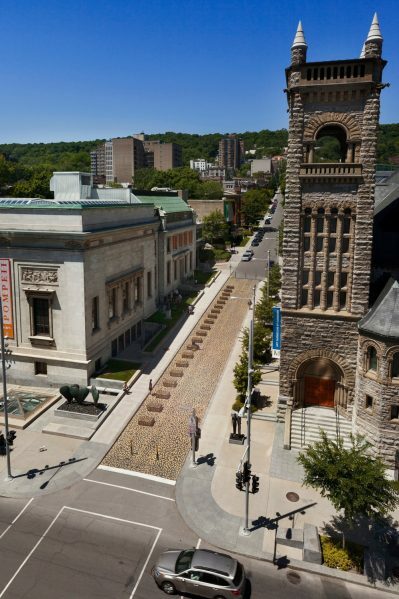 Architect Jean Verville has won the Montreal Museum of Fine Arts’ competition for the development of Museum Avenue. 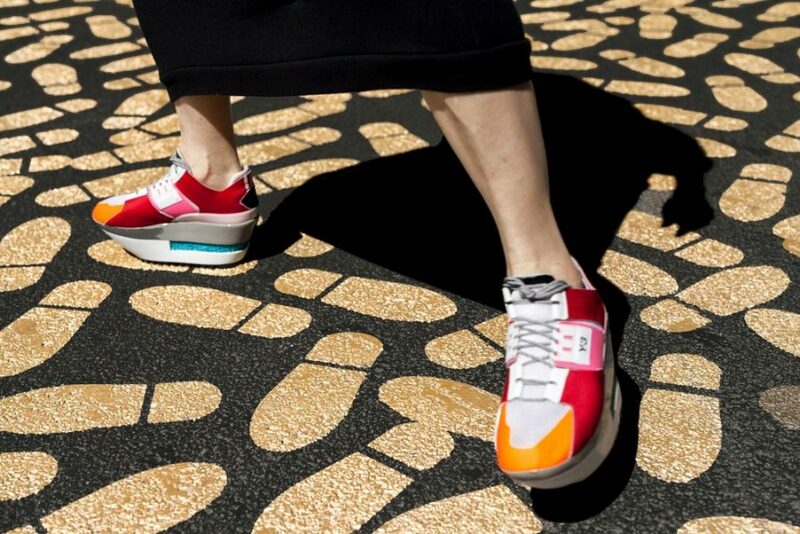 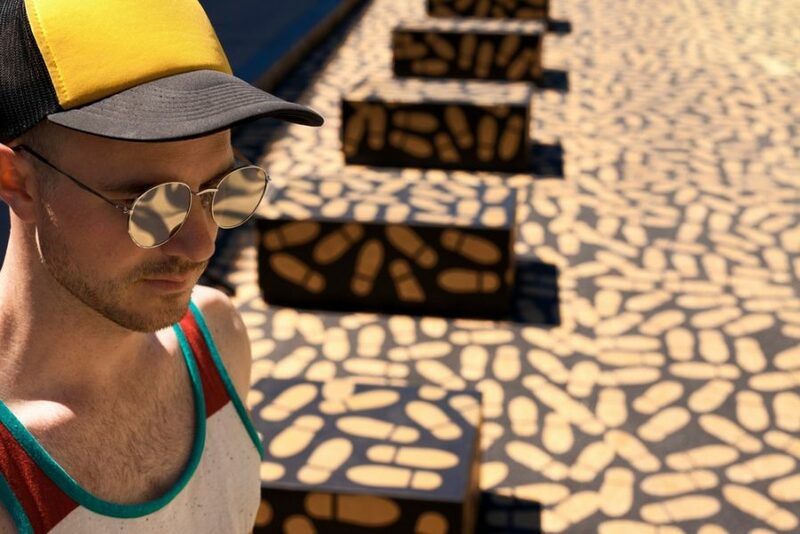 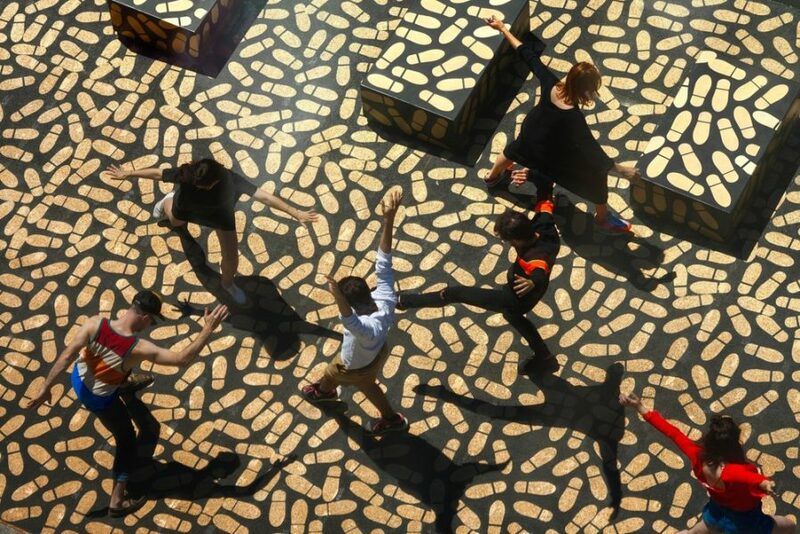 This summer, his installation DANCE FLOOR offers a lively landscape animated by an exuberant trompe-l’oeil. 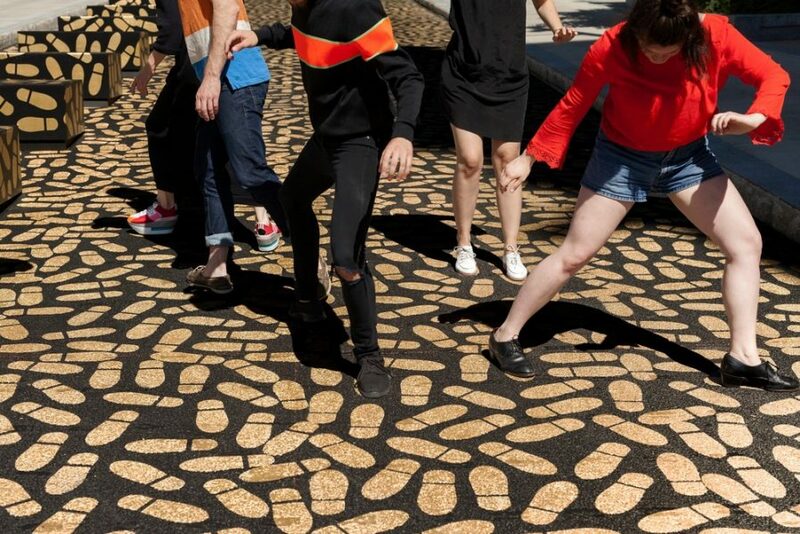 With Verville’s proposal, the participants experiment movement—both free and structured by the course—to surrender to the pleasure of an impulsive action or casual wandering. 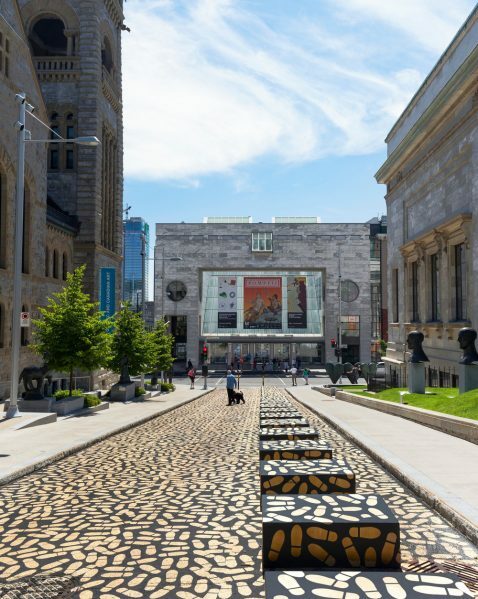 Welcoming varied and unforgettable performances, DANCE FLOOR shines a new dynamism to the Montreal Museum of Fine Arts. 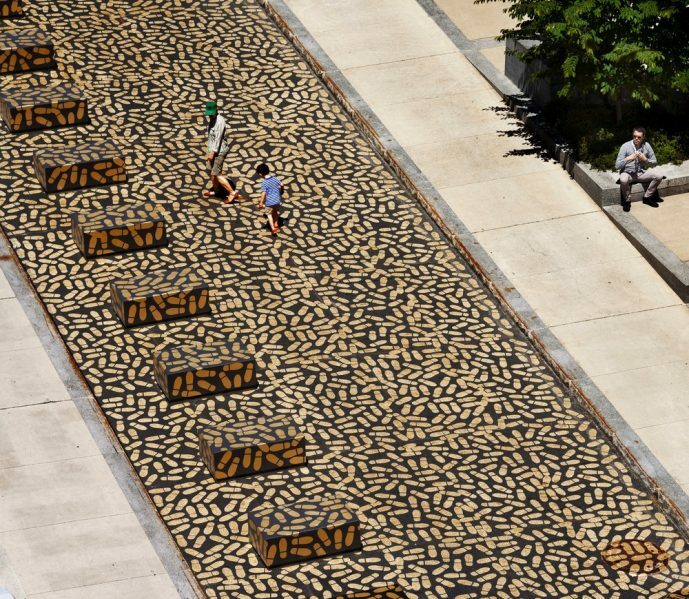 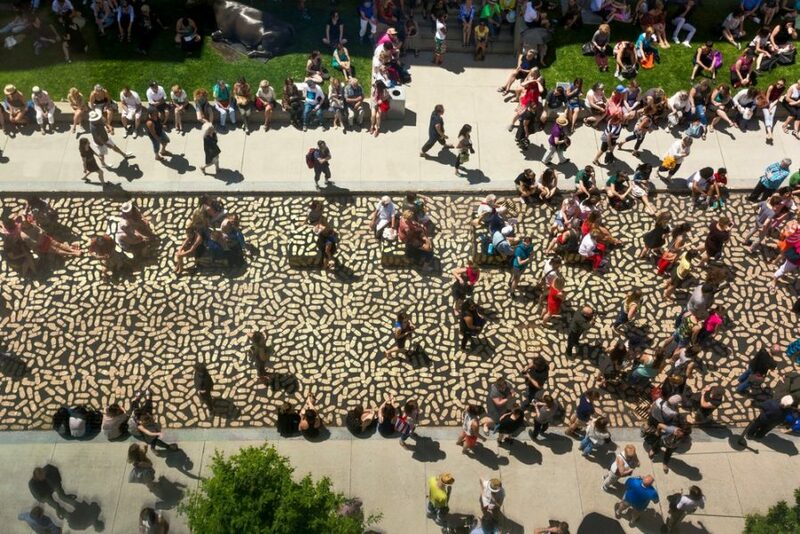 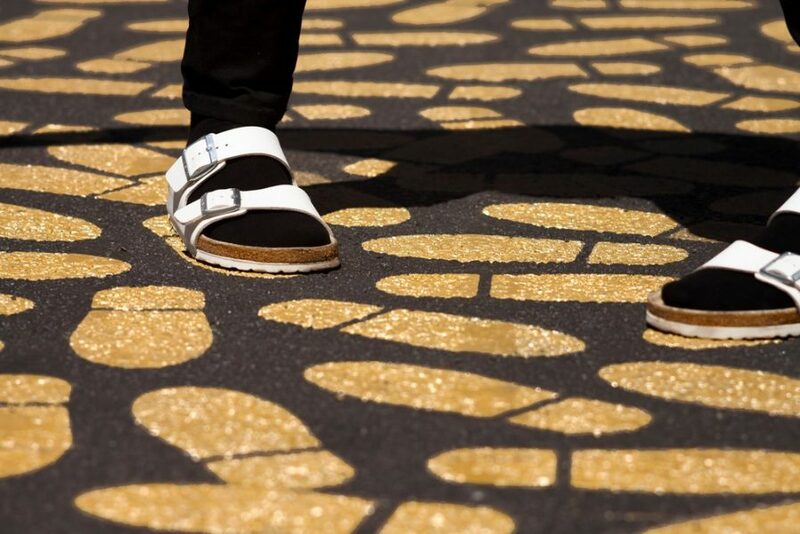 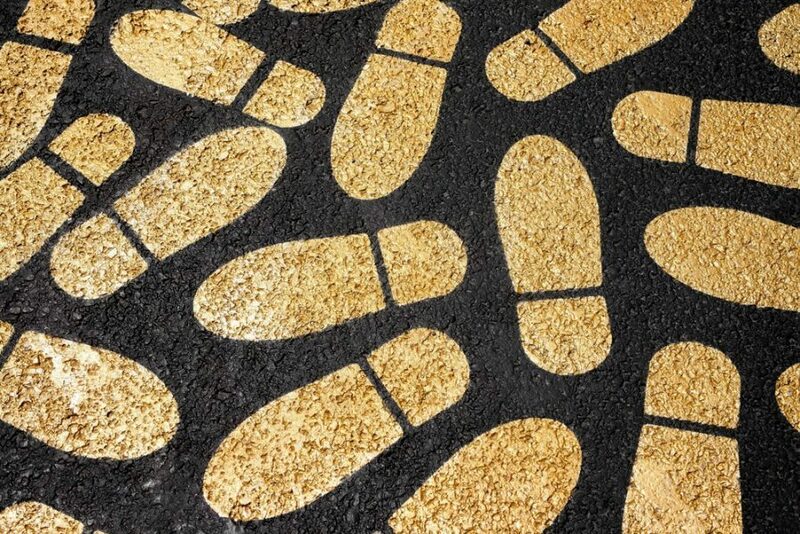 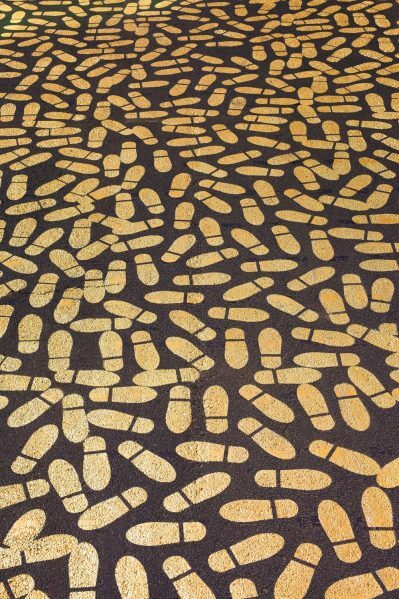 The DANCE FLOOR installation is composed of a mosaic of 5,000 footprints, reminiscent of hammered gold, offering a nod to the theme of the Montreal Museum of Fine Arts’ exhibition Pompeii. 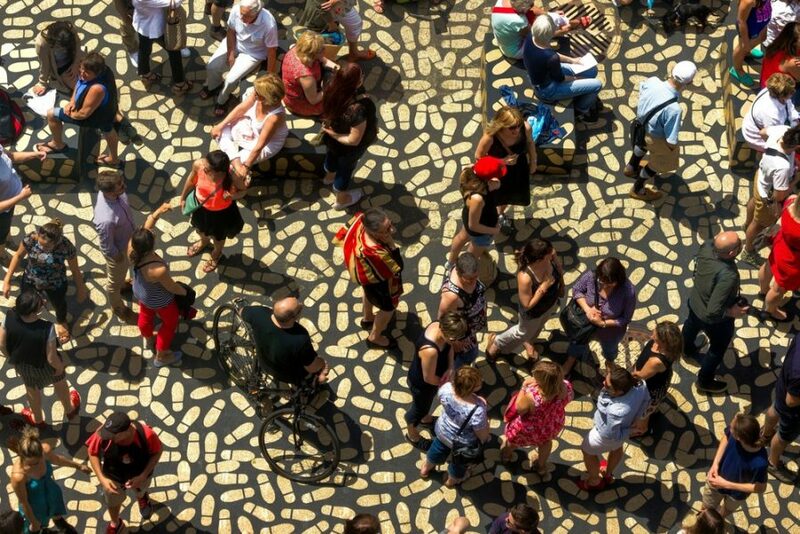 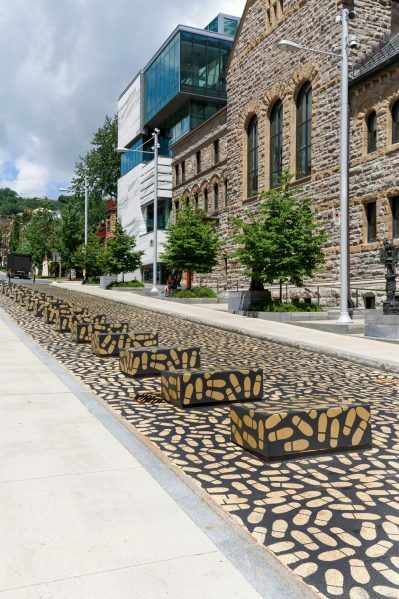 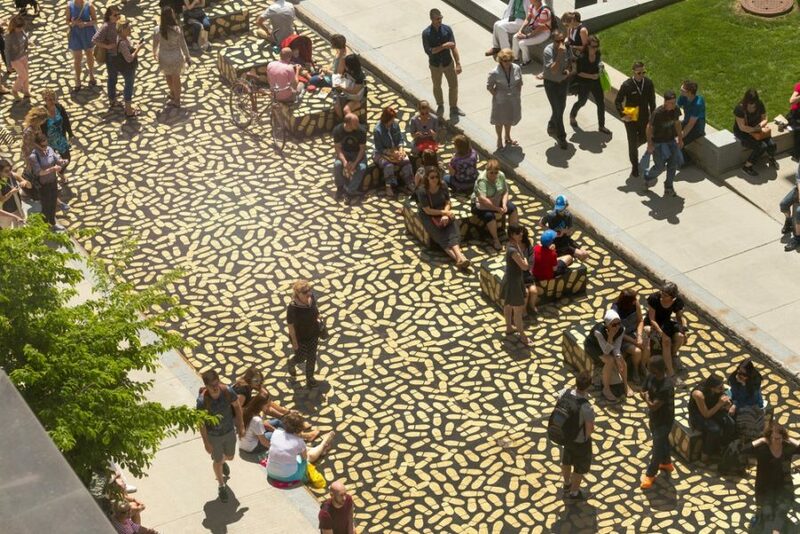 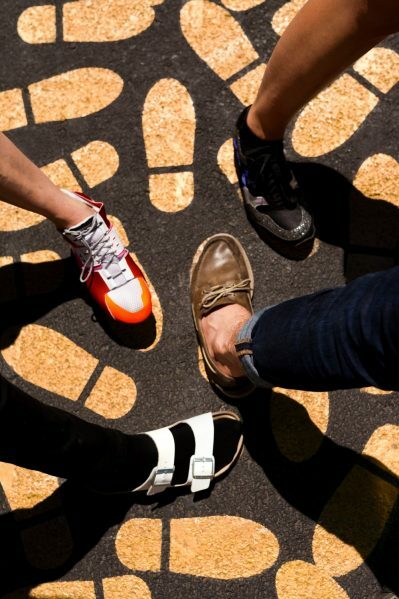 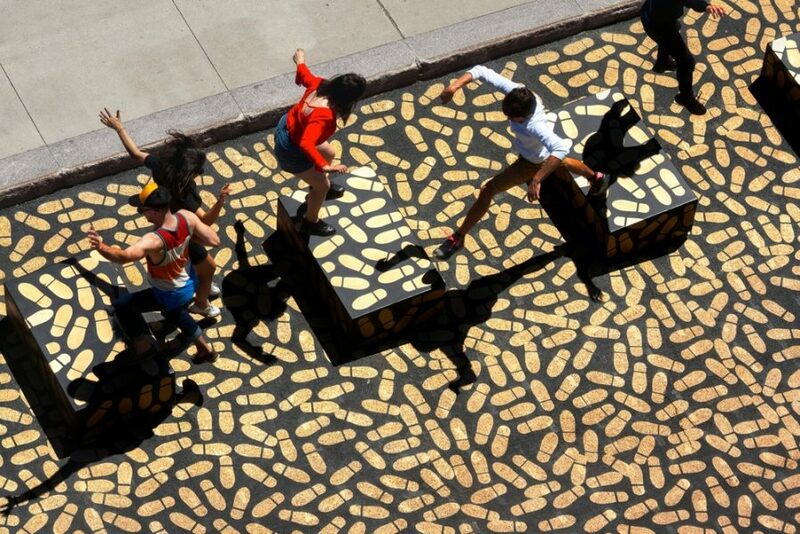 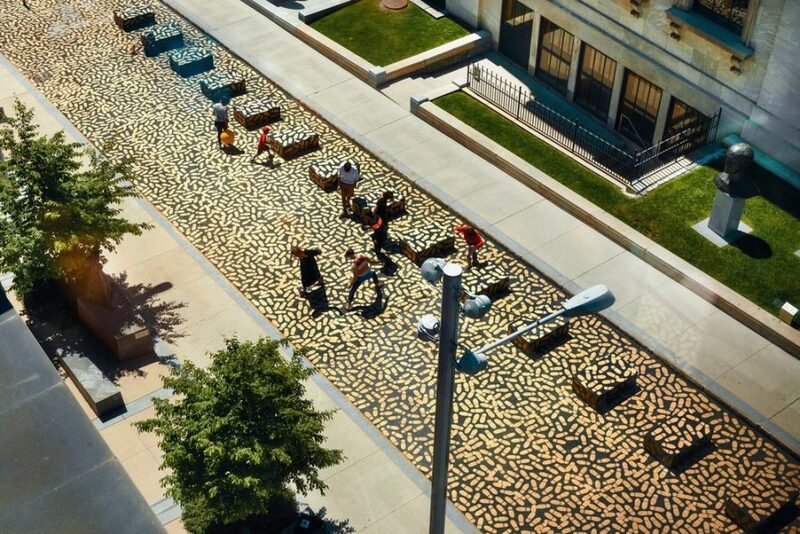 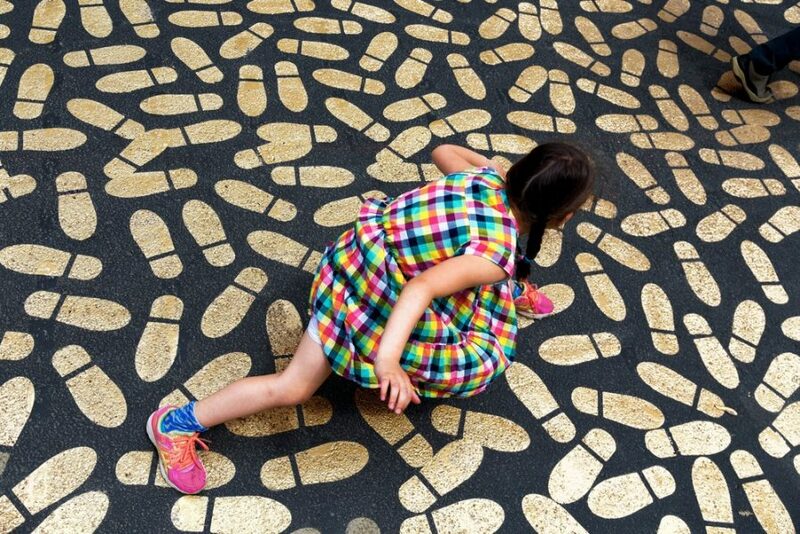 Architect Jean Verville has transformed the pedestrian street into a giant interactive activity enlivening downtown Montreal with improvised dances, while encouraging the visitor to build its customized tour within the works of the Montreal Museum of Fine Arts’ Sculpture Garden.